There's a lot to like about the Xbox One, but today it's surrounded by yet another controversy that is turning gamers off when it comes to turning on the console. The latest mixed message from Microsoft regards whether or not owners will be able to take advantage of their console in unsupported geographic regions. Currently, Xbox One is scheduled to launch in 21 countries this November, including the U.S., U.K., and Australia. But phrases like "requires account on Xbox Live in an Xbox One-supported Xbox Live country" followed by a list of the 21 countries makes it seem as if playing the video game console outside of these places is a whole new DRM policy. Microsoft's responses to the Xbox One's used game restrictions and 24 hour check-ins has been either vague or all over the place. For this new controversy about region-locking the Xbox One, the company decided to go with a message that was both vague and all over the place. "Similar to the movie and music industry, games and other content must meet country-specific regulatory guidelines before they are cleared for sale," Microsoft told The Verge. "[This] means that games will work in the broad geographic regions for which they have been cleared, much as today with Xbox 360." 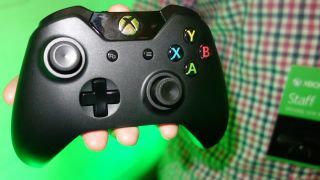 Microsoft reiterated that the console itself is not geographically restricted, but the a user's Xbox Live account is tied to the country of billing and resistance. Here's the contradictory part. The Xbox Support twitter account has replied to users' concerns over traveling with and importing the Xbox One. "Unsupported countries would not have the full experience, and may not work," tweeted this official Microsoft account. That should concern travelers. How about importers who have an Xbox Live account in the U.K., but reside in a country outside of the 21? "They would want to wait until the console is available in their region," tweeted Xbox Support. Sony Computer Entertainment President and CEO Jack Tretton can add region-free to the list of PS4 capabilities, which already includes playing used games and no online check-ins. With Microsoft's complicated stance on all of these important issues still unclear, many gamers are giving the PS4 vs Xbox One debate a fresh look. That's a shame because the Xbox One hardware has a lot going for it. It's up to Microsoft to clear up its message and clear its name from overzealous DRM policies. Read up on the 10 Games for PS4, Xbox One and Wii U we are excited about.